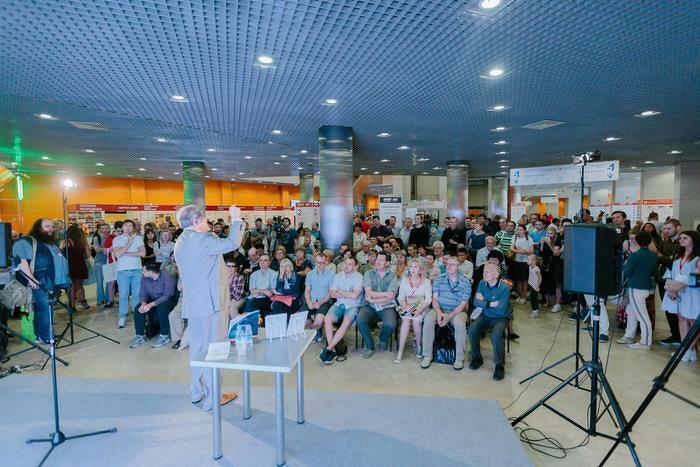 Political and economist Grigory Yavlinsky launched his new books at Moscow International Book Fair, replied to the questions of the audience, including questions about the pension reform and the Skripal poisoning case in Great Britain. “The book tells about what is going on in our country: the way the government took pensions away, the exchange rate of the dollar rose from 30 to 70 roubles, investors left the country, the level of life deteriorated, about wars which our country engages in where thousands of people die,” Yavlinsky expelled. In his book “A Way to the Future” the politician presents proposals on overcoming the political and economic crisis in Russia, lifting our country out of international isolation and making it one of the leading countries. The book consists of Yavlinsky’s 2018 presidential programme “A Way to the Future”; “The Economic Manifesto” describing the major features of the economic policy of the Russian government; a programme for the provision of gas supply 2019-2021; a strategy for mass housing construction and providing citizens with land “Land. Housing. Roads”; a map of fiscal capacity of Russia’s regions; “Blog 2018: The Future” on the desirable future of Russia; proposals on settling the crisis in relations with Ukraine and the international community. “It gives road map of what should be done not let the government deprive us of pensions, create a modern economy, a stable national currency so that people could have a decent life, how to fight lies, solve the problem with Crimea and how we can free ourselves from the mafia in government and save our country,” Yavlinsky said. He called upon his supporters not to give up. “It is hard to get out of the crisis but we know how to do it,” he noted. In his article “The Loss of the Future” the author tried to explain why the USA citizens elected a strange present, why the British people voted for Brexit, why there is a migration crisis in Europe and why the global economy moves from one crisis to another, etc. “It is impossible to correct your mistakes without understanding the reasons for them,” Yavlinsky said. 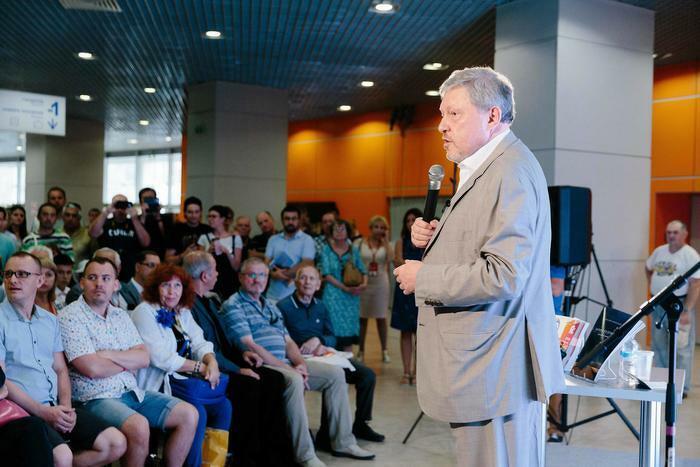 After the launching ceremony Yavlinsky replied to the questions of the audience. They explained his stance on the pension reform. According to Yavlinsky, pensions in Russia are so small that the government should not have bothered to raise the retirement age. “However, the economy does not work and those who develop economic policy are political bankrupts. This is why the rob their own people,” he stated. The politician believes Russia needs a new economic policy. “There are many ways to rob people – raise the revetment age, raise the VAT or TIPI or housing and utilities bills. Yavlinsky was also asked to comment on the Skripal poisoning case. According to the politicians, Russia lost its reputation on the international arena and nobody believes us. “Our official representative lie too often. Russia’s reputation or rather infamy precedes itself. This is way nowadays you can accuse Russia of anything no matter if it is really guilty or not,” the politician explained. The most important thing in international relations is to preserve a country’s reputation. Protecting it is the duty of a president. “A president who fails to do it is a bad president,” Yavlinsky said. He concluded by said that the foreign policy by Vladimir Putin and Sergei Lavrov was a failure. Posted: September 10th, 2018 under Education and Science.